At last – picture-based books that aren’t just for little kids! These witty masterpieces are all about the pictures. (And the giggles. And two furry friends.) Rabbit and Bear are best friends. Well, kind of. Bear loves Rabbit. Rabbit’s not so keen on Bear. 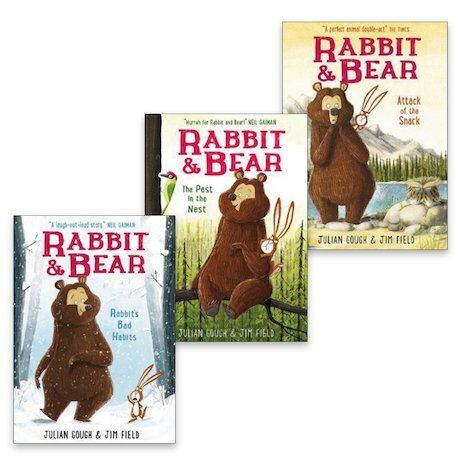 But when Bear saves Rabbit from a hungry wolf and various other sticky situations, will Rabbit learn to value his bear buddy? We’re hoping that’s a yes – but this rabbit has such bad habits, who really knows what he’ll do next?